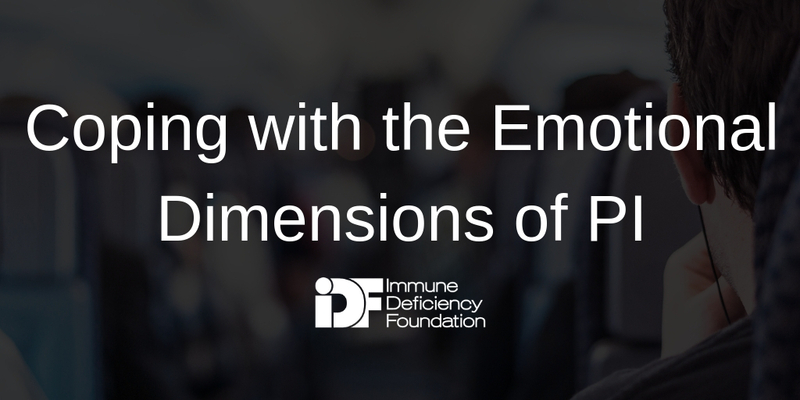 Have you listened to the second episode of IDF’s Primary Immunodeficiency Q&A podcast? If not, you can listen to the latest episode here. In this episode, we talk with special guest and psychotherapist Jodi Taub, LCSW, LLC, about the emotional and psychological impact of PI in young adulthood, the connection between our minds and bodies, and how we can manage this relationship to positively affect our overall health. This podcast episode is part of the Young Adult Online Education Series of the podcast, developed especially for students and/or young professionals diagnosed with PI. And don’t forget to subscribe, so you can receive updates on the latest episodes as they’re released. Please rate and review too! We appreciate your feedback. Want to suggest a podcast topic? Click here to e-mail us.